Lars Wittig, the Country Manager of Regus & SPACES by IWG Philippines, fits the Pinoy-at-heart bill to a T. The Denmark native maybe a foreign national in the Philippines – a “foreignoy” – but he could very well be called “Pinoy na Pinoy” for showing much love for the Philippines and Filipinos ever since he first came to the country in 1992 as a teenager. Some 26 years later, Wittig has found himself building communities with Filipinos and millennials working towards making a greater Philippines. Wittig’s passion for all-things-Pinoy earned him the Asia CEO Expatriate Executive Award in 2014 and Best Performer and CEO of the Year for Regus Asia-Pacific in 2013. Arriving in the Philippines as a Dane farm boy educated at the Aarhus University and Copenhagen Business School, including training for 2 years with East Asiatic Company (EAC), Wittig immediately moved up to an executive position in Market and Distribution Management in Manila. GNP: What made you interested in working in the Philippines? LW: I was the first to write a thesis about the founding members of the ASEAN (Association of South East Asian Nations), and that included the Philippines, and was interested in going to Asia. Even though I moved to the Philippines at a relatively young age in 1992, I actually took the very long route to get here. Because the EAC who had promised to send me to South East Asia first sent me to New York then Los Angeles, and only afterwards was transferred to Asia to Japan. And finally after two more years was sent to the heart of Asia, that is the Philippines. I love the history of the Philippines. I came here during election year. That was a year of a time of change, no doubt about it. The new President, Fidel V. Ramos, had to enforce a lot of rules amidst a lot of turbulence. There was a very high degree of poverty, including urban poverty. The labor market experienced multiple strikes. During my first year I personally visited 5,000 sari-sari stores, walked the barangays of Manila, north to south Luzon, Visayas, and Mindanao, as my assignment was to create a new distribution system for Philip Morris. And I got a real in-depth understanding of business as well as socio-economic circumstances. It was in my DNA to also pay attention to the agricultural sector. When I stayed in Mindanao (DOLE Philippines posting in 1993-94) I saw the great potential for the agricultural sector there. The agricultural output then was not much different from that of today. But back then there were 65 million people compared to the 107 million of today. GNP: After moving to Singapore you again came back again to the Philippines from 1998-99? LW: I came back on another election year! Because COCA COLA asked me to be director of marketing for the Philippines. Consumer power is bigger during election year (because of political spending). If you look at the bigger historical picture there is a big surge in private consumption during election year and it would have the opposite effect the following. Now if you look statistically at the most recent election and going back from there we see this happening less and less. So there is less of a surge in private consumption and less hanging off the following year. You can see it in the economy, the indication is that we are getting more and more a healthier election process, a very healthy sign for the democratic process. I was on several postings in Asia, the U.S., Europe for COCA COLA. GNP: After going around the world in several postings for COCA COLA – being in all those countries, what made you decide to come back again to the Philippines? 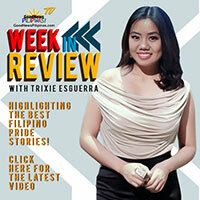 LW: Approximately seven years ago I decided to follow my heart and I moved back to the Philippines for the third time, even though I did not yet have a job. There was nowhere else I could better imagine myself thriving and working. I just love it here. The country, the culture. I know it very well. I am a foreignoy. GNP: You have had country or regional responsibilities while based in the Philippines, Japan, Singapore, Vietnam, USA, and your native Denmark – what would you say are the best things about working in the Philippines now? LW: Since I’ve been all over the world, I’ve always done my utmost to pick the best practices in every culture where I have lived and worked. But I cannot picture any culture where I can better impress those practices on a local team and make them take ownership and even improve on it. In other words I have a very unique cocktail of business practices and culture from all over, the Filipino team that I have built have always been the most receptive. And the best a taking ownership of these, make it their own by changing and improving and sustaining even. Whether in Philip Morris, or COCA COLA, or Regus and SPACES, I always had the best practices regionally or globally from the companies I worked within. That is really the result of either the Philippines brings out the best in me or maybe the other way around, also probably a combination? To this today throughout Asia Pacific other countries have been benchmarked towards the performance of our business here in the Philippines. But of course it is a lot more fun, a lot more pride, and there is a lot more gratification in it. I am super proud of my team here. I am super proud of what has been accomplished. And in our last global meeting in January, we even won global awards for our best performance among more than 100 countries. And we are a big international company, we are the biggest in our industry. We are listed under the Stock Exchange in London. Started the business 30 years ago in Brussels. Started the business in the Philippines 20 years ago. I joined the company and therefore solidified my place here in the Philippines by becoming Country Manager almost 7 years ago. Back then we had 4 business centers. And now we almost have 30. GNP: Regus is on its 20th year in the country while SPACES is marking its 10th year in the Philippines in 2018 – how is the company celebrating this milestone? LW: Regus is celebrating its 20th year. That is another thing I like about working with Regus because they came to the Philippines in 1998 at the wake of the Asian crisis when everyone else was leaving the Philippines and in general South East Asia. Regus has done the opposite – seeing the light but also taking the risk in incubating local businesses and foreign businesses alike. I like to think that we have had our share in the faster recovery after that Asian crisis. We are marking it by the July launch of SPACES in BGC World Plaza. And in December we are launching it in an entire building in Makati. This year we have again won several global awards within IWG as well as this year Regus was awarded Best Employer Brand. GNP: The awards you received as CEO, what would you say were instrumental in earning you these recognitions? LW: There are certain things that works very well for me in the Philippines. First of all, I am a very, very engaged person. And I have a genuine interest in other people and other businesses. And I will always go very far for a good laugh, lately at my own expense! And these actually all attributes that are making a big part of the foundation of each and every Filipino. I think that all my global experiences have been unique, exceptionally applicable, and extremely well-received in the Philippines. More so than anywhere else. It has really worked incredibly well for me. And we have always had fun while doing it. In COCA COLA I had to get the same message out to 30,000 employees and in order to do so I made a sketch and I earned the nickname, Mr. Bean. But I thought that was a small price in order to get something done so consistently. When it comes to execution and sustainability, and discipline with the right motivation and the right appreciation for what you’re doing I cannot imagine any better market to operate in than the Philippines. If I was given the opportunity to start all over in a whole new business anywhere in the world I will always have Philippines on top of my list. Because I am literally in multiple industries, now not the least in Regus and SPACES have succeeded better in the Philippines than in any other market that we’ve in touch with throughout my working life. GNP: You are actively involved in various NGOs, groups, programs, and fora focusing on the Philippines (including Management Association of the Philippines, Makati Business Club) – has your involvement in these given you a different perspective about the country and its people? LW: My personal network, my friends outside work are all Filipinos, with very, very few exceptions. In my Rotary club Makati West as well as in Makati Business Club as well as in Management Association of the Philippines, these are organizations are not founded on foreigners. But by joining resources it has really allowed me to get back out to the lower socio-economic areas and do good in terms of organizing and funding everything from deep water wells, to gifts of life-saving open heart surgery, for streetchildren that would have otherwise been deprived. GNP: Please describe yourself as a foreignoy. LW: Most of all, I’m just myself. Probably very little left in me, of my original background native Dane. I like to think that I have retained some of the attributes from Denmark that perhaps also can have a positive impact here just like what I have had from all the other cultures that I have been exposed to and worked with. What it comes down to is that I feel that I belong more here than anywhere else where I have lived. And I don’t remember – in my adult life – probably lived longer in any other country than the Philippines. I feel I am more of a Filipino or let’s call it a foreignoy than I am anything else. GNP: In Regus & SPACES you welcome and work with young people. What do you think of Filipino youth? LW: I am very energetic myself. Perhaps it’s more than the other way around. You have many more millennials. The millennials impact is much more greater in the Philippines than anywhere else. You have a much younger population here. I have not come across a generation that I have so much in common with like I do with the millennials. The reason is when I have my entire life been blamed for always working too much, working in the evening, and working in the weekend, and that is exactly what the millennials do. They are always “on.” Always checking their emails. They really want to be measured by their results and not by a time sheet. They still thrive on the personal interaction. Probably more successful than their age and skills and experience justify. Therefore they thrive on connecting with people like me not only because I am full of energy but because I have a lot of experience. In many cases I started my professional life in the Philippines before they were even born! We just treat each other the same way – age certainly doesn’t matter. They represent something that I can learn from and vice versa. This is a global trend that reaches up to multinational companies and non millennials. And the reason for that is as we also experience in the Philippines – the speed of change. All industries are being changing so rapidly. With all these changes happening so far we don’t even have the luxury of going back into the classroom to catch up. We have to learn on the go. We learn through interaction. And it is that interaction that I enjoy. I thrive on it. Literally a part of the DNA of Filipinos from long before it became a global trend. Filipinos have always been very entrepreneurial. Very much a part of the young population, millennials. Yes, they are very much a part of the social media, the internet. But they also want to meet in person to have the interaction. The electronic media for networking is connecting people but not building communities. It is that interaction that is very important to set the stage for. People they don’t want to work in the conventional office any longer, in the same place everyday, within a given time, given a timesheet. Now they want to work whenever, wherever, at place near home, anywhere in between home and traditional work place. And occasionally to catch up with your boss in person. And actually to be told by your more tenured boss that you have done a good job. That is what the millennials also need. GNP: That is exactly what Regus and SPACES foster. LW: Exactly. Regus offers the work style with a network with 3,000 locations worldwide of which more than 25 are in the Philippines. In SPACES it is not only co-working, we are literally building communities. We have multiple events every week. And that is how we are connecting. When you are talking about connecting people by building communities it is a must that you ensure a wide community. So you need baby boomers like myself along with the millennials. You need to start up company along with the multinational along with industry A, along with industry B. So I fit in just as well as the millennials. The fact that we just get along tremendously that makes my life even greater. GNP: Can you share with our readers a success story of a startup at Regus? LW: When Convergys started in the Philippines they started with us. Specifically in Regus in the Enterprise Center in Makati. And we all know now where they are today – they are biggest employer in the Philippines. That example alone is quite telling. Let me give you one more. A small travel agent in Caloocan came to me because they would like to cater more to international businesses headquartered in Makati. But they found it difficult with an address in Caloocan. So they took an office in one of our centers here in Makati, one of the high rise buildings. And literally went on eye level with their target customers. With a prime address, very quickly they got a few customers and they started to pick up tickets. Quickly their business went booming tremendously. I noticed they also changed their company cars, etc. It is just a beautiful history about how you can make your customers do much better to their customers. Can I guarantee you success? Not really. But I can probably guarantee you more customers, faster and probably at a better price. Thanks to an easy access to a prime address building platform where you don’t have to tie up a lot of capital which you are usually short of anyway. So here there is no capital investment. No long-term liability. And you get extreme exposure in our community and you become extremely productive. Another good example is as we have pioneered this market in two cities, we thought initially that we would be creating platforms for business to expand beyond Metro Manila and into parts like Davao. But what we quickly realized was we are also creating a platform in Davao for business to expand into Metro Manila and beyond this nation. These stories really picture the most fantastic gratification about our line of business. Flexible work space. Flexible working. Building communities. 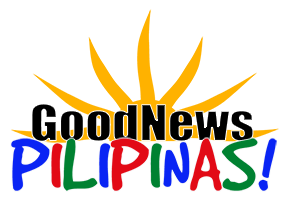 GNP: Thank you for partnering with GoodNewsPilipinas.com in highlighting good news stories. 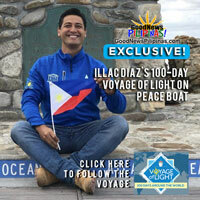 LW: We definitely share the same passion for the Philippines in getting the good stories out there. Tons of good stories to tell. The biggest reason is, about Filipinos what kind of upsets me the most is that I never met anybody more cynical about the Philippines than Filipinos. I am a witness (to how the Philippines has grown to be what it is right now and how Filipinos have improved themselves over the years) but I also feel that the nature of our business and the way we are advocating it and pioneering it in the two cities and by far have become the market leader here, that we are contributing literally to growth and to inclusive growth.